When it comes to real estate, Richard Sunseri is the jack of all trades. Richard has been in Real Estate for the past 8 years. At the age of 22, he purchased his first property as a renovation project. After seeing a great return on his investment, he created an extensive renovation and rental portfolio shortly thereafter. Due to his quick success with rentals and renovations, he decided to use his wealth of knowledge by developing new construction townhomes in the South Side of Pittsburgh. There, he learned the ropes of new construction and is now a seasoned professional. As a Real Estate Agent, he quickly became one of the areas Top Producers by doubling his sales in each of his first 3 years. Richard specializes in both Lawrenceville and the South Side real estate markets. 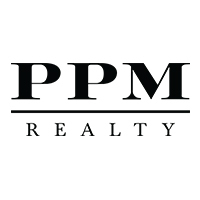 He helped PPM Realty become one of the largest privately owned real estate firms in Western PA. He and his wife Rebecca recently completed renovating a home of their own in the South Side, where they have resided for 7 years. Richard has a love of sports, the outdoors, and enjoys spending time with his family. Also, he is the Chair of the Realtors Association of Metropolitan Pittsburgh Young Professionals Network which hosts networking events for young professionals in the Real Estate industry. Toronto-based Craft Group is led by Robert, Carmine and their partners, an experienced and creative team with, collectively over 100 years of development experience. Projects Craft has been involved in the development of over 2 million square feet of retail, office, and residential projects across southern Ontario, Florida and now Pennsylvania. 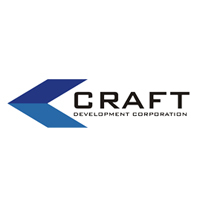 Since its inception, Craft sees opportunities where others do not, and works with industry leaders to determine the best way to turn a vision into reality. 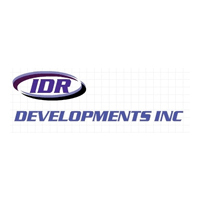 Peter Griffis, President and CEO of IDR, has over 38 years experience in the construction and development sectors. Peter’s understanding of business, along with his background in both project management and costing, have allowed him to transition easily into larger, more complex projects. Peter is known for always putting the community first and has a reputation as an individual who is resourceful and brings out-of-the-box thinking to development projects. Based out of Moon Twp, Pennsylvania is a fully integrated construction general contractor active in new home construction and renovations in the Pittsburgh. Continuum has successfully completed many projects in the Pittsburgh area and has more new construction on the way. Douglas P. Pindilli, a Pittsburgh native, began his career in residential real estate, selling and building new homes with his father. After almost 15 successful years, Doug went on to be the Project Superintendent for one of the areas largest custom home builders Doug left the company in July of 2013 to create another successful custom home building company – Continuum Construction. His in-depth experience in both leadership and relationships with the areas sub-contractors stem from his management of these companies for the past 25 years. Throughout his career, he started and closed hundreds of single and multi-family units. 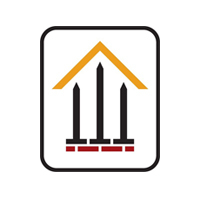 Patrick J. Pindilli born and raised in Pittsburgh, previously started and developed his own successful, multi-million dollar custom residential and commercial building construction business, D.J. Pindilli Builders from 1991 – 2003. More recently Pat lead renovation and new construction projects such as the Residences of Hollywood, a 520-unit condominium conversion and an extensive, high-end upgrade to the historic, Versace Mansion on Miami’s South Beach; responsible for total project schedule and budget. a multi-disciplined Design Firm of design professionals and supporting staff. 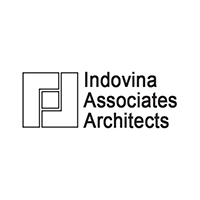 The firm was established by Robert A. Indovina AIA in 1978. Mr. Indovina has been a Registered Architect since 1975. He is registered in eight states; Pennsylvania, Ohio, West Virginia, New York, North Carolina, Massachusetts, Connecticut and Michigan. He is also a corporate member of the American Institute of Architects and a National Registration Certificate Holder of the National Council of Architectural Registration Boards. Indovina has received numerous design awards and recognition for exemplary architectural design including Certificates of Merit for Architectural Design from The American Institute of Architects. The firm has also received recognition for design excellence from the Pittsburgh History and Landmarks Foundation, the Master Builders Association, Pittsburgh Building of the Year awards, as well as design awards from The International Masonry Institute and Associated Builders and Contractors. Since its beginnings, Indovina has successfully completed almost twelve hundred projects in a myriad of different building types. The firm has specialized in a number of varied building types, including multi-family housing, single family housing, hospitality, educational, institutional, nursing homes, parking structures, houses of worship, and a number of award winning projects at the Pittsburgh Zoo and PPG Aquarium. 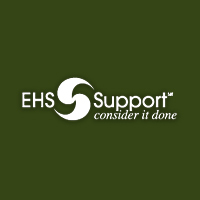 EHS is an environmental, health, and safety (EHS) solutions specialist, tasked with the prime objective of assisting you with reducing risk, satisfying regulations, and lowering operating cost across a wide spectrum of industry challenges. We provide a comprehensive and diverse range of services including Remediation Management; due diligence for Mergers, Acquisitions, and Divestitures (M&A); spearhead Potentially Responsible Party (PRP) resolution; assessing EH&S Compliance; and much more. We’re an organization with global reach and formidable talent, certainly—but one built on a legacy of round-the-clock personalized service and commitment that’s second to none. No surprise then, that our company promise is a simple one: Consider it Done. With four offices in Pennsylvania and local representation in Pittsburgh, EHS knows and understand this market. 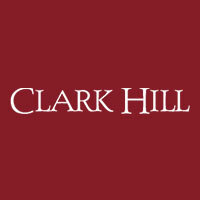 Clark Hill PLC is an entrepreneurial full-service law firm serving clients in all areas of business legal services, government and public affairs and personal legal services. Our experienced attorneys and other professionals consistently provide client-centered solutions. Clark Hill clients expect the best, and we deliver by responding quickly to their needs, understanding their business issues, and providing outstanding legal advice. Since 1890, our firm has proudly represented a diverse range of clients ranging from individuals and new entities to Fortune 500 corporations. These are just a few of the reasons why our firm is repeatedly chosen and recommended by our clients. Red Swing Consulting Services is acting as the site engineer on the project. Red Swing is responsible for site layout design, storm water management, utility coordination & approvals, and NPDES permitting. Red Swing offers complete land development consulting services to take a project from concept through construction. Licensed in 17 states, Red Swing possesses vast and varied experience in land development, infrastructure, utility and communication projects for public, private, and commercial Clients. 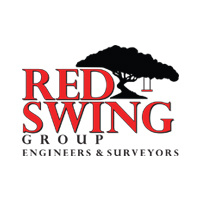 Red swing consulting services, the civil engineering component of Red Swing Group, focuses first and foremost on building and maintaining strong relationships with its clients. Mutual trust from these relationships is the foundation of solid business partnerships, which is how Red Swing views its Clients – as partners. Red Swing offers complete land development consulting services to take a project from concept through construction. Licensed in 14 states, Red Swing possesses vast and varied experience in land development, Infrastructure, utility and communication projects for public, private, and commercial clients. With its small and nimble approach, Red Swing effectively and efficiently maximizes the return on investment through a collaborative design approach. Red Swing utilizes a low impact and sustainable design approach in its day-to-day efforts. This philosophy reduces project capital costs and produces the competitive edge in the marketplace that we and our partners demand.